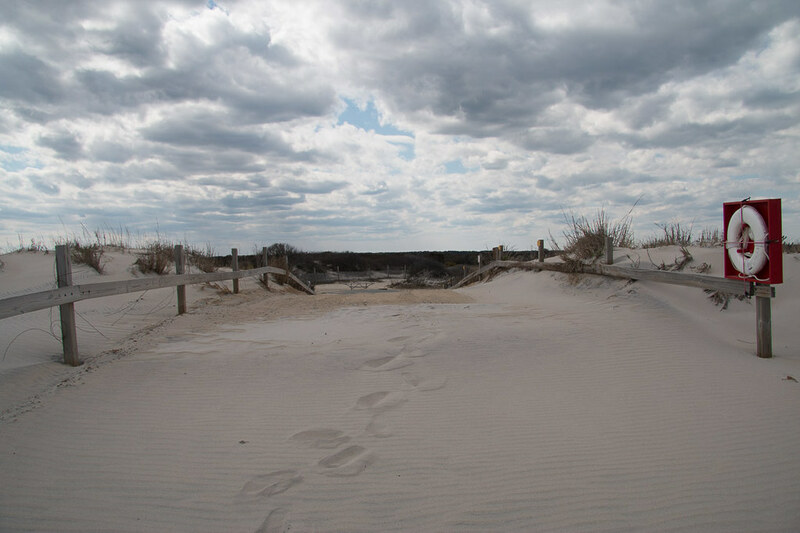 Back in April, Ken and I went on a camping trip to Assateague State Park, which is part of the Assateague Island National Seashore. If you recall, I went on my first ever camping trip a little over a year ago, and I (VERY unexpectedly) enjoyed it. Since then, we had planned two camping trips that both fell through. One for last April, which we ended up having to cancel because Ken started a new job and was completely out of vacation time, and a camping trip to Ohiopyle State Park back in October because it was forecast for heavy rain all weekend. And rescheduling those trips never quite worked out because of other conflicts. 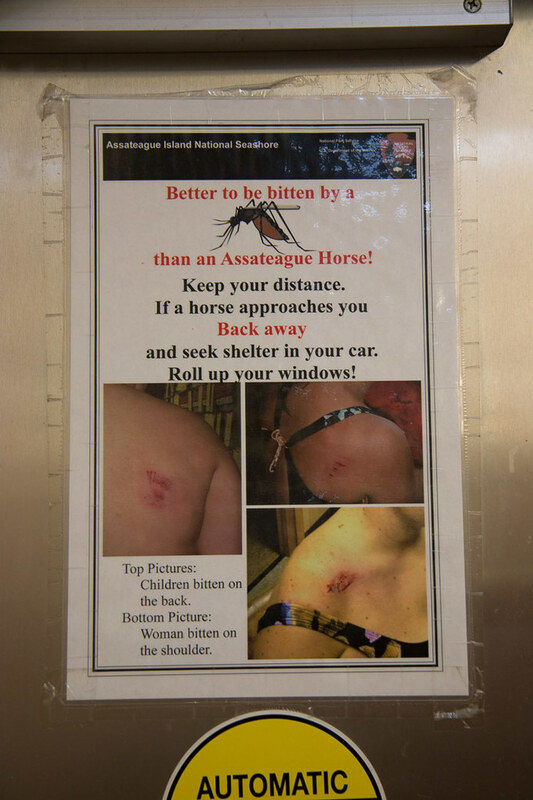 Anyway, I was very excited when this trip to Assateague came through! We had a really fantastic time. Although the high temperatures were in the low-mid sixties (which is perfect weather for being outdoors if you ask me! ), it was SO WINDY. And that made the weather decidedly less enjoyable and pretty chilly! So, I thought I’d start with a review of the actual campground and then cover what we actually did during our camping trips (like hikes, etc.) in separate posts. 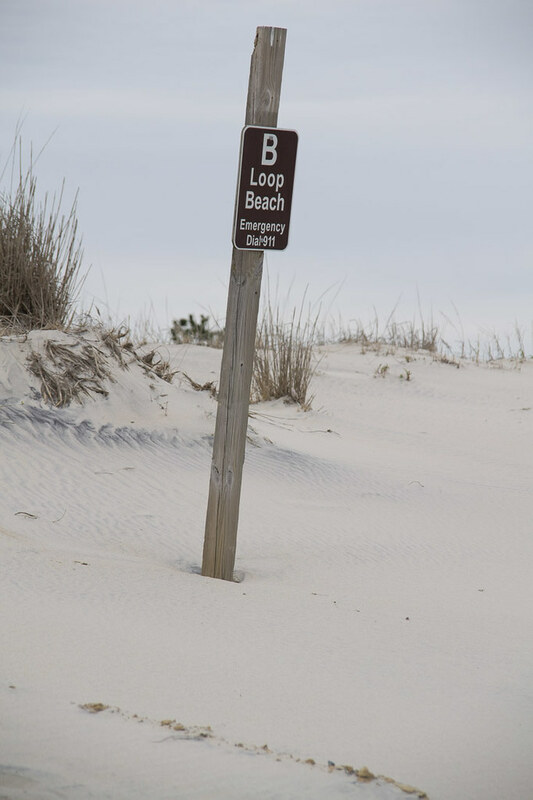 We booked a spot several months in advance at Loop B. 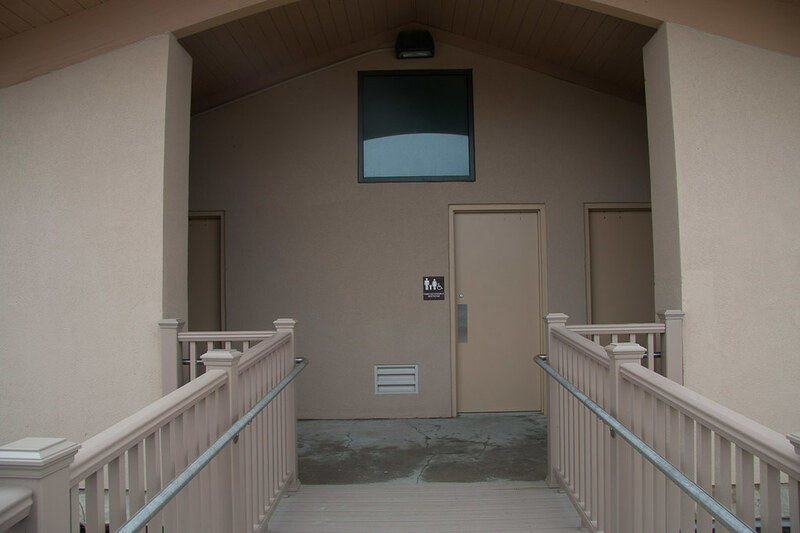 Their website indicated that several of the loops further down the road had temporarily-closed bathrooms due to renovations. 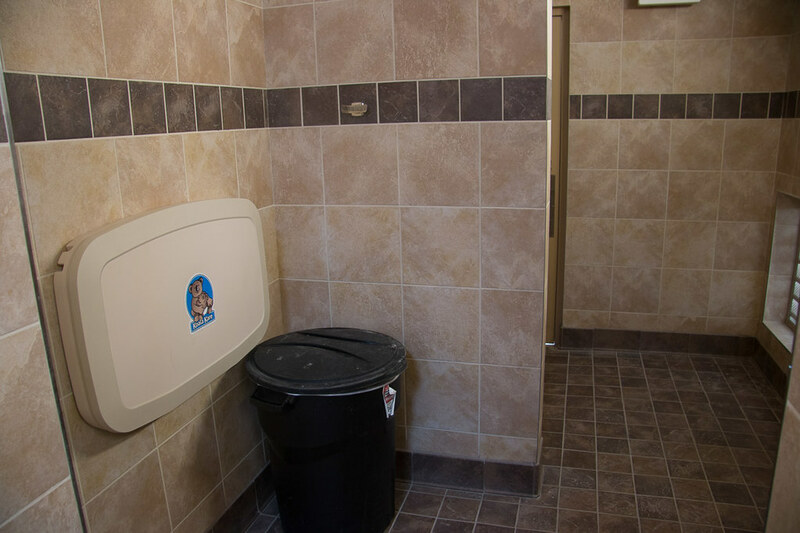 So we definitely wanted to make sure to book a loop with an open and functioning restroom! 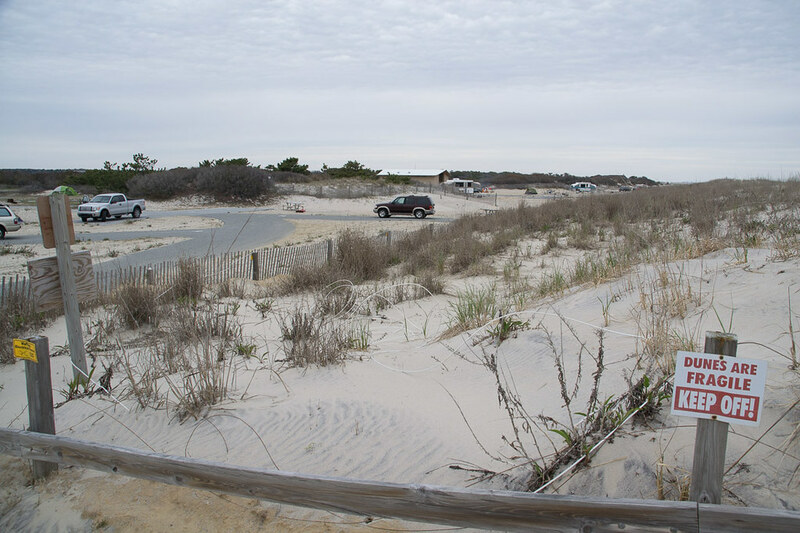 We booked site B35 (you’re allowed to book specific spots) because it was close to the beach, as well as appearing to be a relatively close distance to the restrooms. Here’s what our spot looked like when we had just arrived (before we set up anything else). 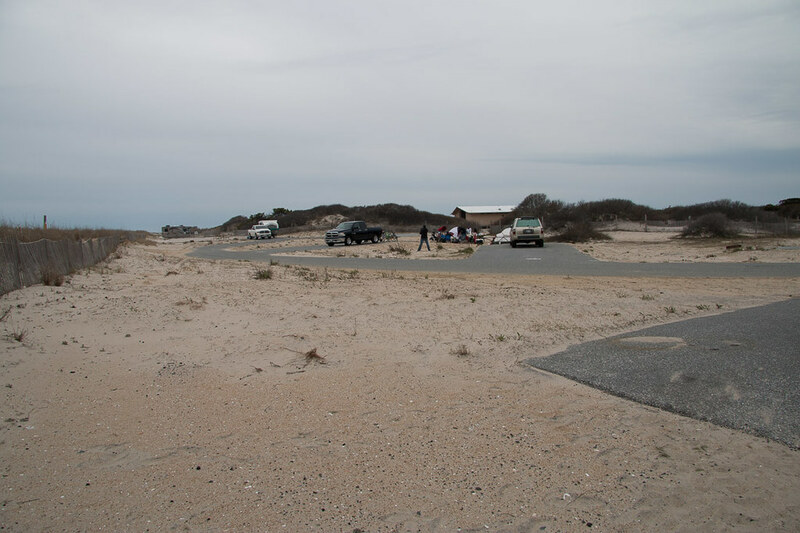 There was a large sandy campsite and a paved parking spot right next to it. But we eventually got everything set up, then we took some time to explore the area. Okay, let’s walk through how the campsite was set up. 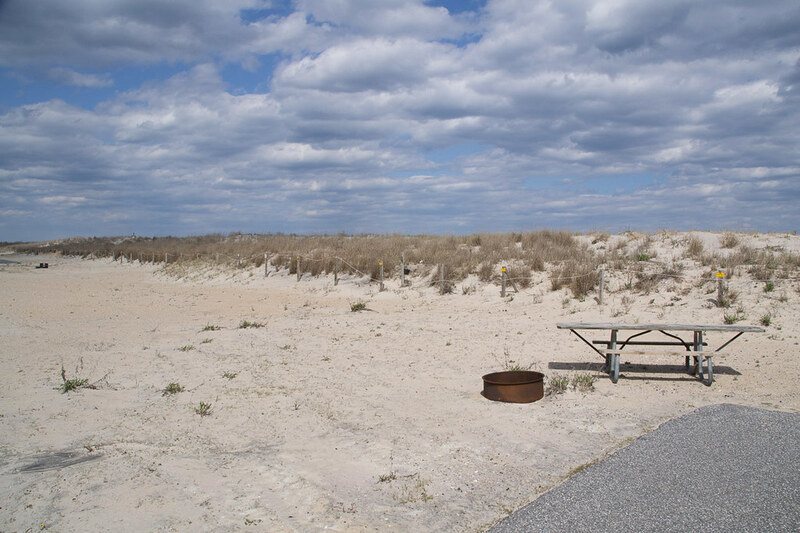 From all the maps and images of Assateague State Park, I was not sure if our campsite would have an actual VIEW of the water. Well, the answer was no. 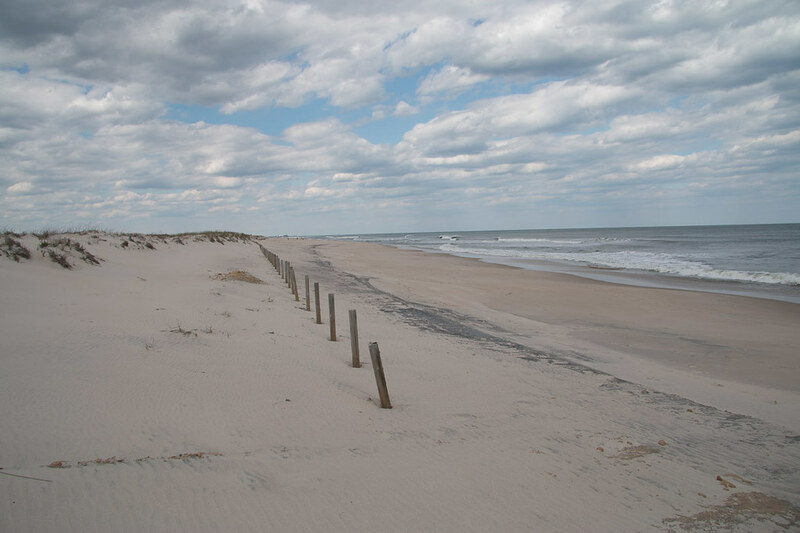 You could actually HEAR the water and the waves crashing, but the sand dunes blocked the view of the water. That was pretty much what I was expecting. For context, this photo was taken while we were standing on the path to the water. The car you see in the image is our campsite. So beach access was still very close, even though we didn’t have a direct view of the beach. And the path does, in fact, lead directly to the ocean! 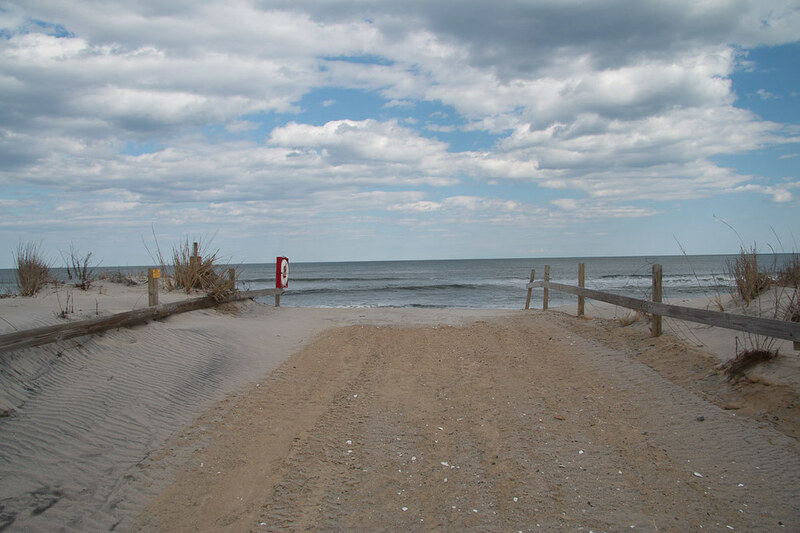 And here is the path leading from the beach back to the campground. So we’re standing with our backs to the ocean in this photo. The beach was beautiful and pristine. We arrived at the campground on a Thursday, so it was understandably empty. There were more folks, but still not many, on the beach on Friday and Saturday, but we never saw anyone in the water since it was chilly. On Thursday night, there were just a few other campers at the campground (at least A loop and B loop, the two loops we could see from our campsite), but on Friday, it started to fill up a little more, and I’d say it was actually about 85% full by Friday night. 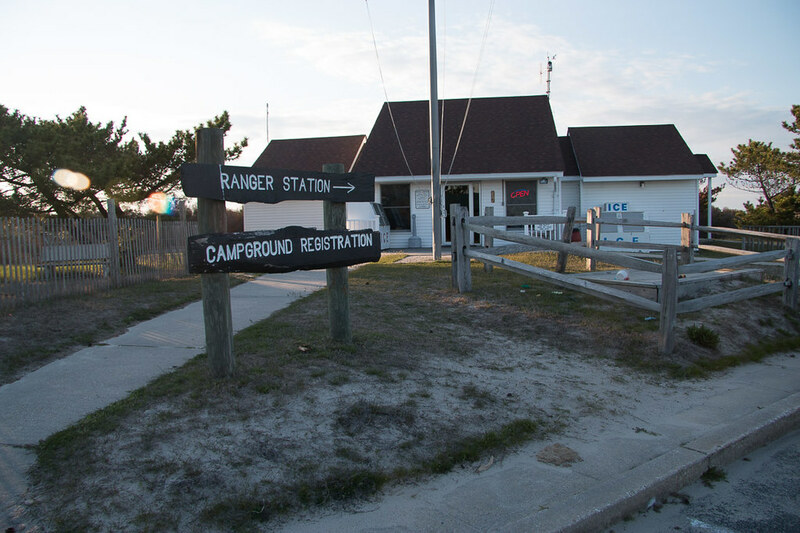 The restrooms / bath houses at Assateague State Park were pristine. 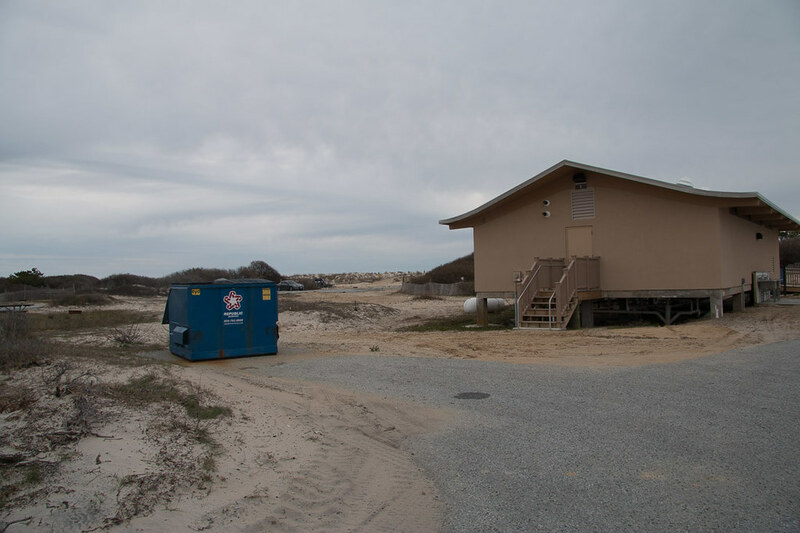 I mentioned earlier that Assateague’s website indicated that the restrooms at some of the loops were closed for renovation. 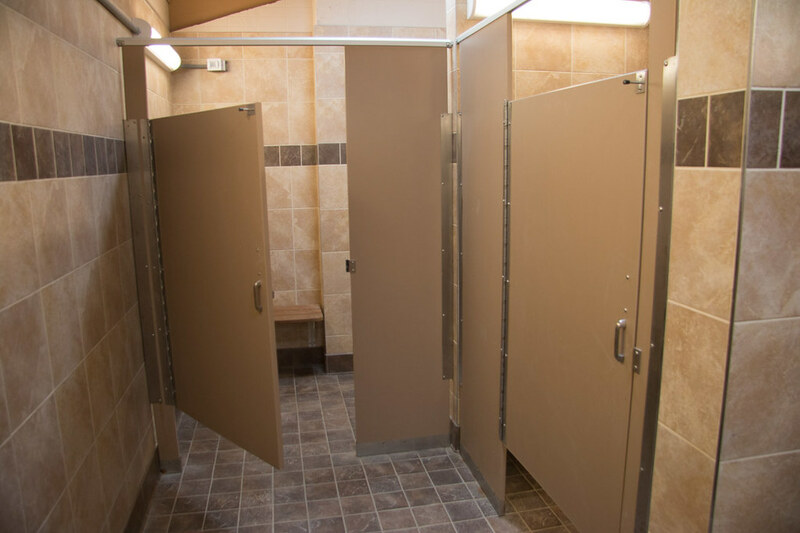 We assumed that the restrooms that service A, B, and C loops were recently renovated, and that’s why there were so immaculate. 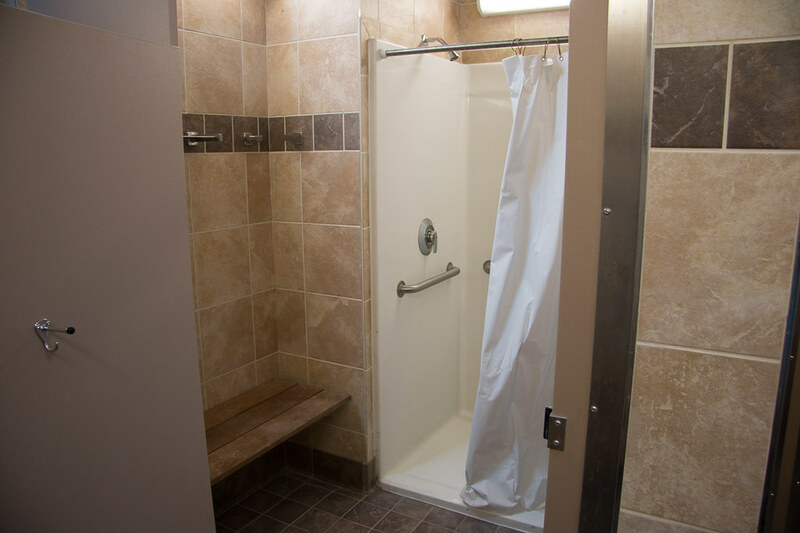 There is a large, handicapped accessible ramp that leads to the restroom doors. There’s a women’s room, a men’s room, and a “Assisted” restroom, for the mobility impaired or for families with young children. 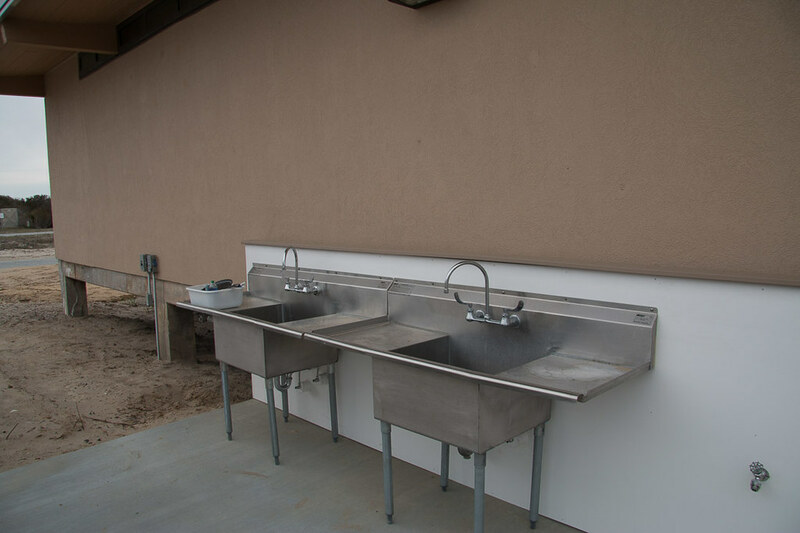 Inside the restroom were a line of flush toilets and running-water sinks on the other side. 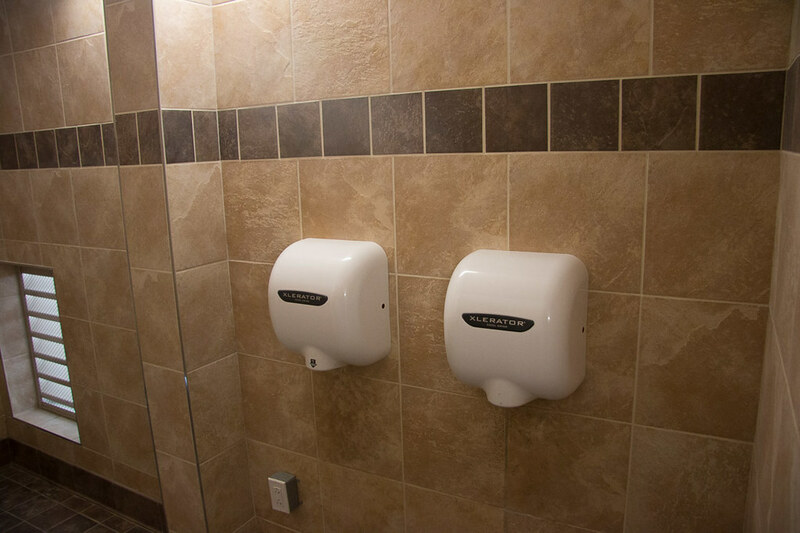 I feel a little bad for having some complaints about the restrooms considering how clean they were, but I’ll just share them here. I’m not sure if it was related to the chilly weather, but the water was pretty close to freezing cold. The campground advertises hot water showers, and while I realize that might not be as hot as what I’m used to at home or in a hotel, the water was really cold. Ken had a theory that since the campground was pretty empty the first morning, that maybe the water hadn’t had a chance to “warm up” enough, since it wasn’t being circulated enough. And that seems like it might have been the case. The next morning, the showers were warmer (but I also let the water run for a decent amount of time before getting in the shower, like while I was brushing my teeth and stuff), and the campground was significantly more crowded, so people had probably been using the showers a lot more. The restroom “room” itself was also freezing. Sure, it was chilly outside, but you’d think inside a structure would be a bit warmer since the wind would be blocked. The bathrooms had circulating constantly these super high powered industrial fans. No doubt they’re great for circulation and keeping the bad smells to a minimum, especially during hot summer months. But, during the spring and fall, I think it might have been nice to have an option to turn off the fan. Especially so getting out of a cold water shower wasn’t quite so shocking! (Sorry if this seems like so much complaining! I really did enjoy it, I’m just pointing things out in case it is a real concern to other folks who might be camping there). Right outside the restroom facilities were dumpsters and large sinks (where we would wash our dishes after dinner). 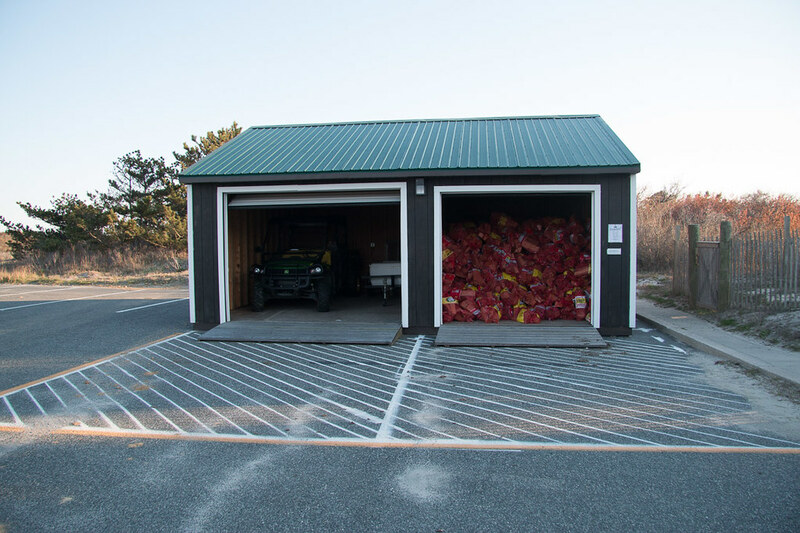 The campground registration building (for the Assateague STATE park, not National Park) was efficient and had a few small amenities available for purchase. Directly outside the registration office, they had firewood available for sale. Since it was chilly in the evenings and mornings, we went through a LOT of firewood! 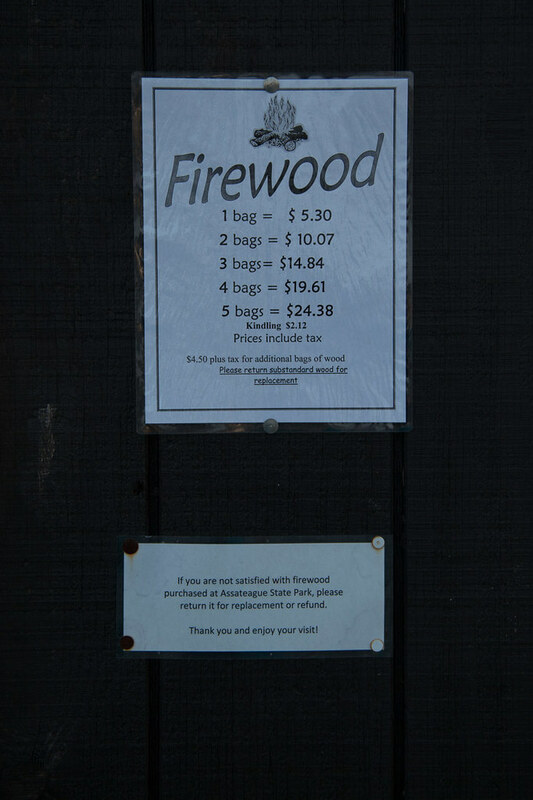 The campground also sold bags of kindling, but I will say that the kindling left a lot to be desired. It was mostly bark and small wood chips. No twigs or medium size wood logs. (Since this was beach camping, you couldn’t exactly scour the ground for sticks and branches!) So, the next day, on our hikes around Assateague trails, we picked up some small twigs and medium branches to bring back to the campsite with us. 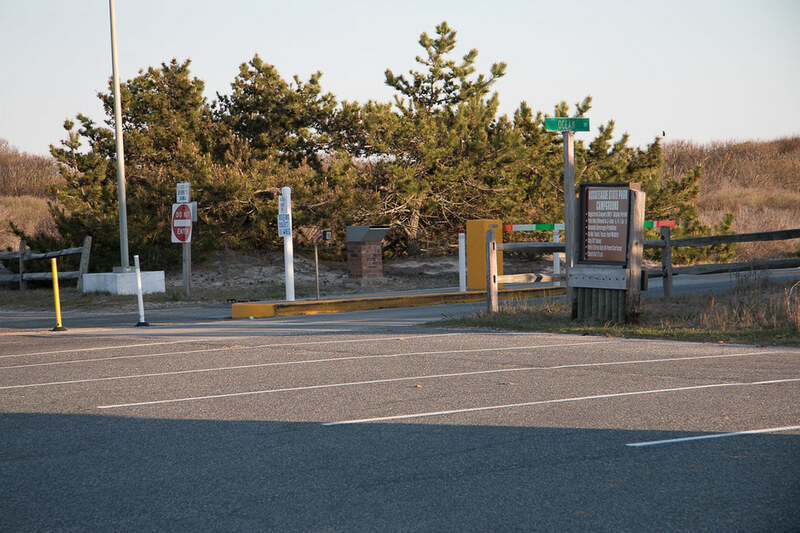 Just beyond the registration building was the entrance to the State Park campsites, which was access controlled by a barrier gate. To lift the barrier gate, you had to enter a pin number, which was provided to us at campground registration. The State Park and National Park actually share a visitor center. The visitor center is quite beautiful, and looks to be relatively new! 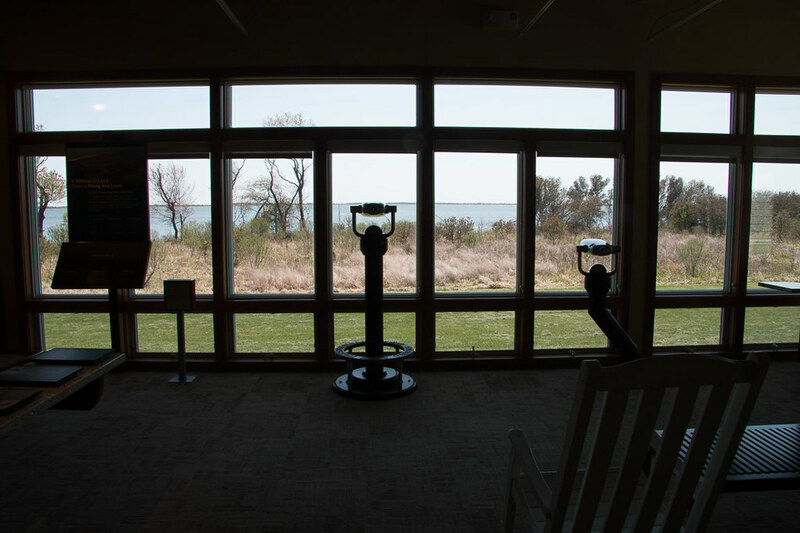 Inside the visitor center, you could look out using free binocular type things. 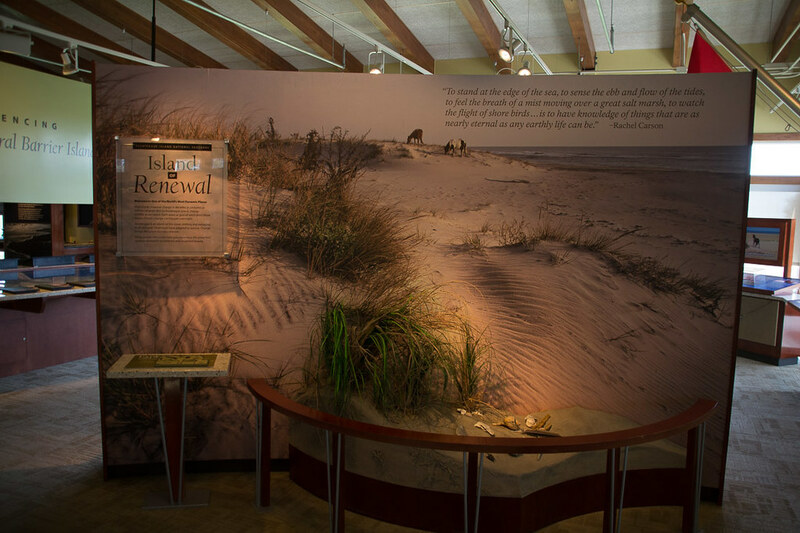 And there were exhibits illustrating how Assateague was formed. 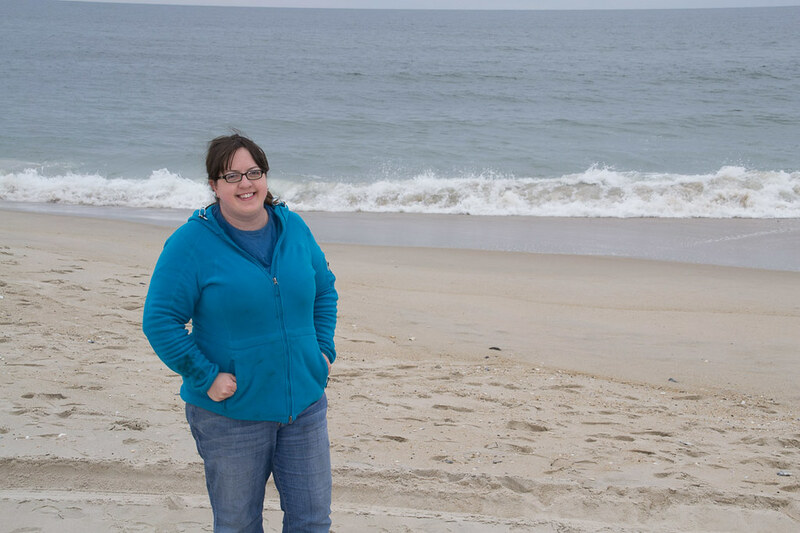 In the next few posts, I’ll talk more about the trails we hit at Assateague, our camping food, and even the quick stop we made to (very) nearby Ocean City. 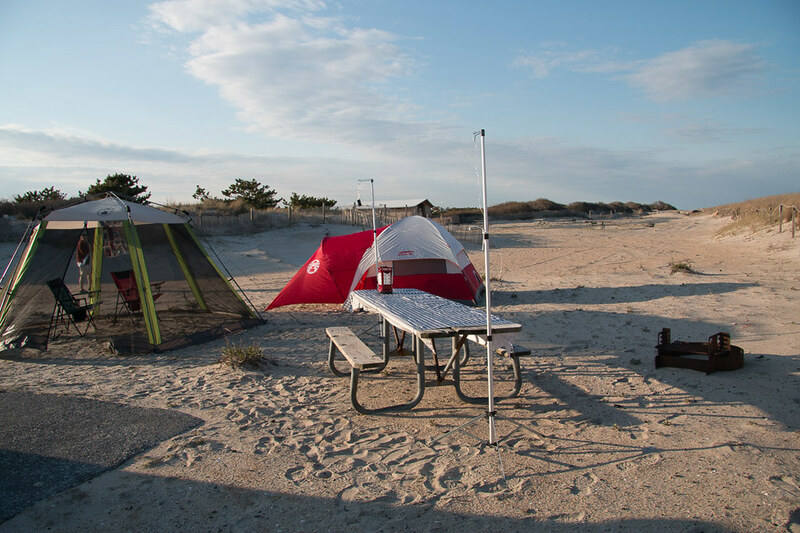 Have you gone camping at Assateague or done other beach camping? What did you think? Hi! 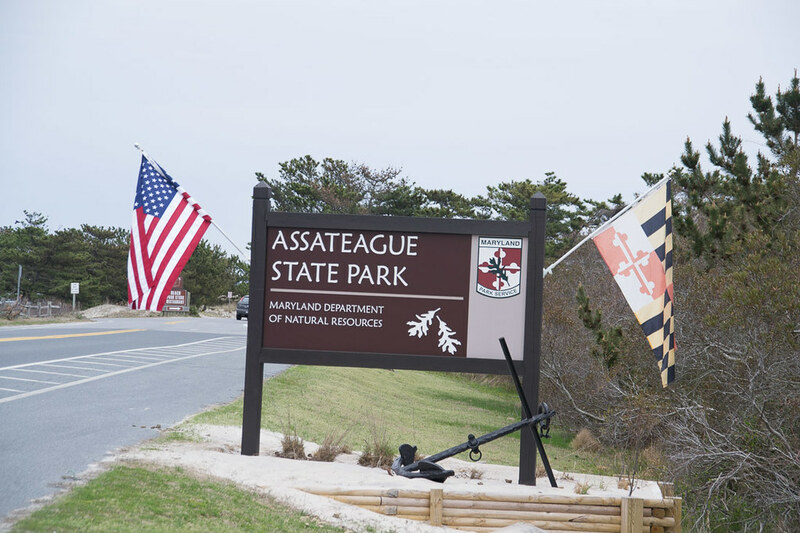 Just found your site and enjoyed you Assateague trip posts. 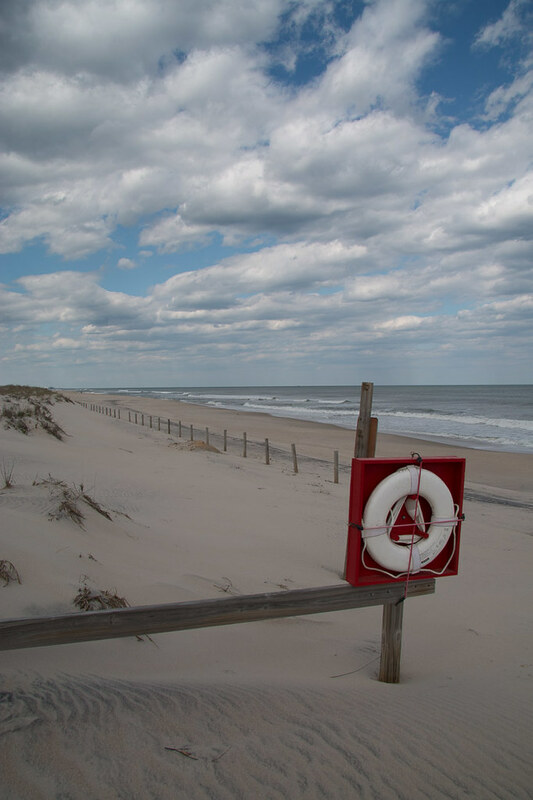 Have spent nearly every summer from the time I was 12 (I’ll be 59 this summer) on Chincoteague Island, might I suggest a trip to the Virgina end of Assateague. 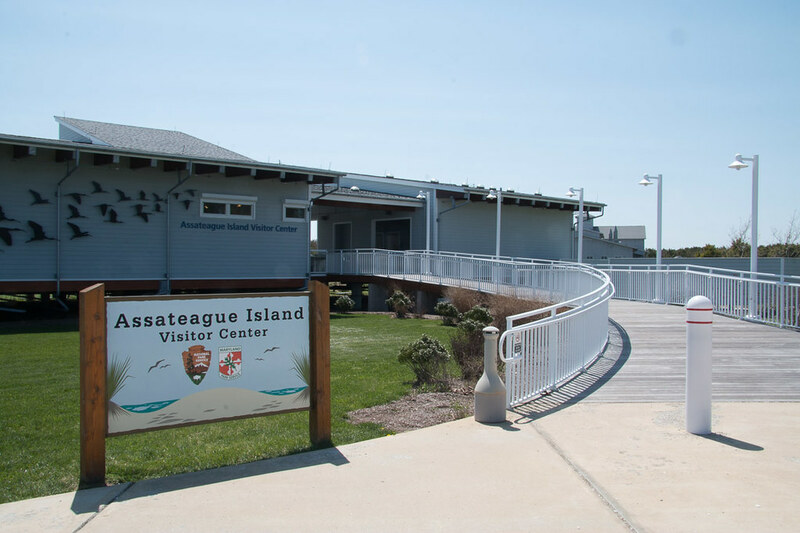 The Va end of Assateague is a huge wildlife sanctuary full of all manner of birds, deer, waterfowl, and ponies! And at least 1 trip to the famous Chicoteague Pony Penning! 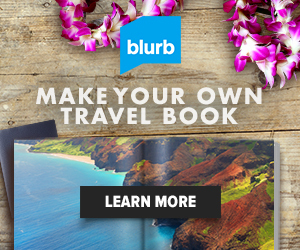 Though book that trip really early.. It’s gotten pretty popular! If your a train buff.. check out Parksely and the railway museum. Complete with an outdoor train cars to check out! Oh BTW the outdoor area is dedicated to my dad! 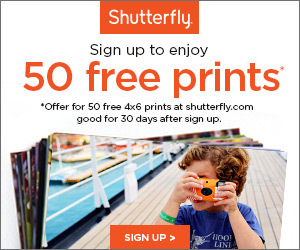 Hope you check them out! Here’s to more adventures! !